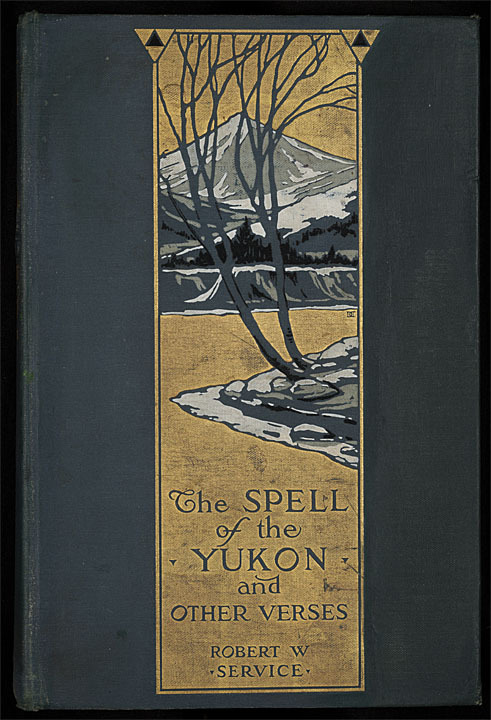 Until the 19th century, books were sold unbound or sewn into simple paper covers. 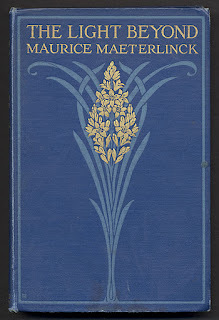 A collector of books would commission the local bookbinder to come up with a binding for all the books of his library. 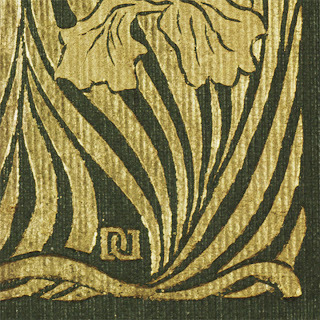 By about the 1860s, soon after the American Civil War, cloth bindings became popular and began to feature gilt stamps, blind embossing and flamboyant custom designs. 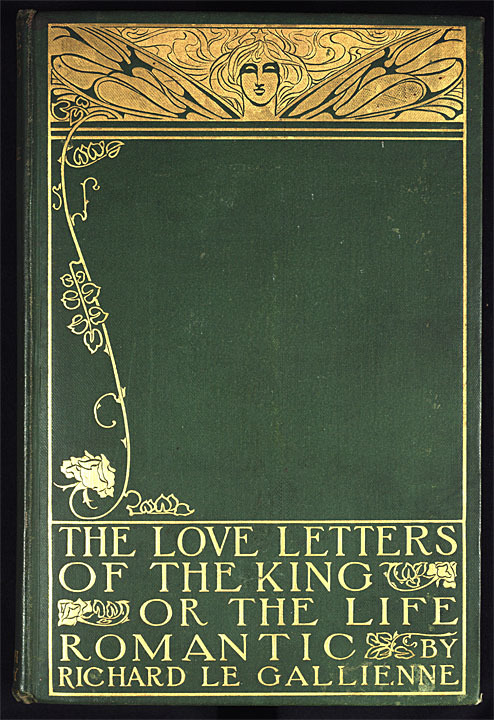 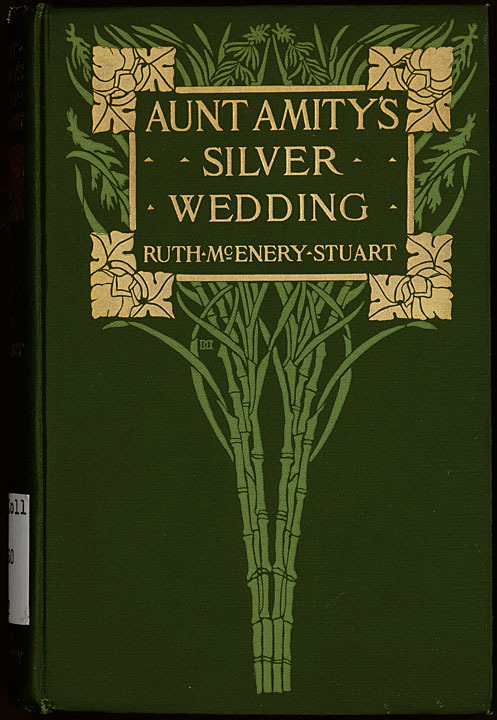 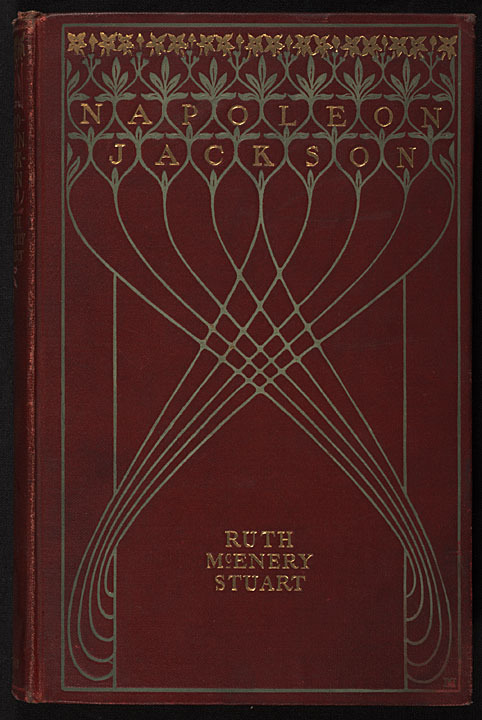 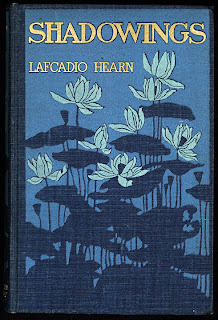 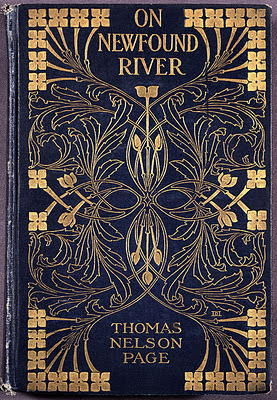 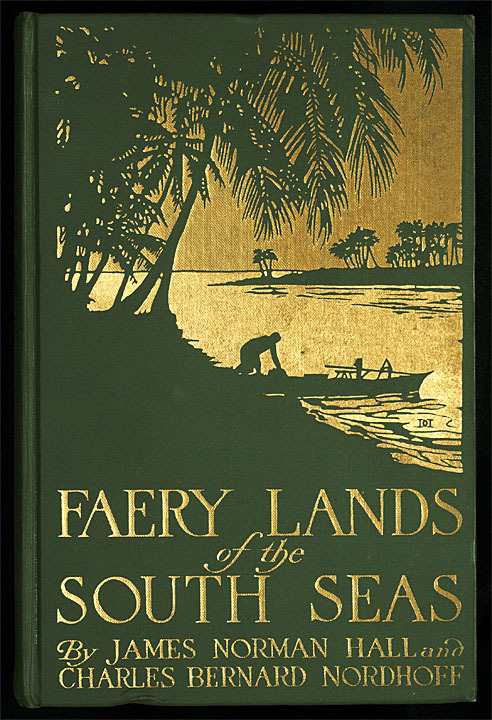 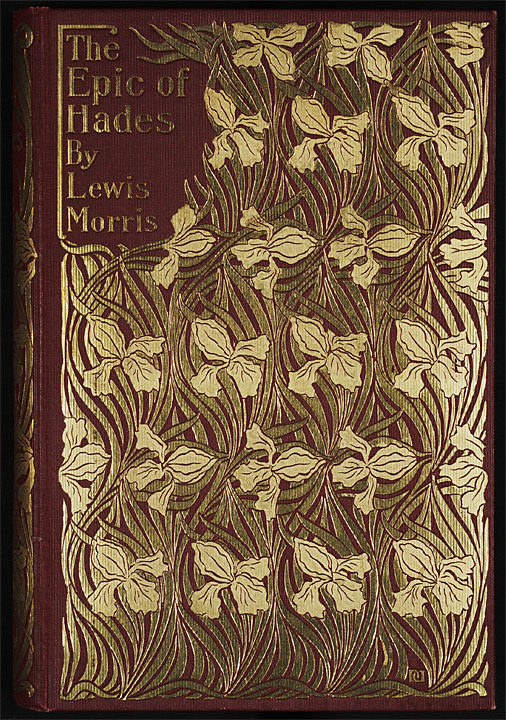 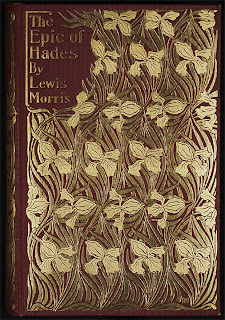 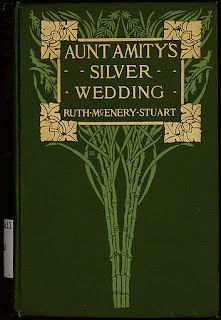 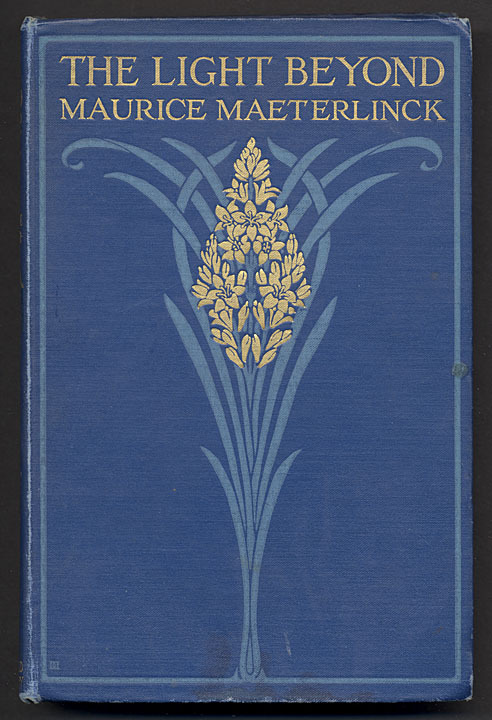 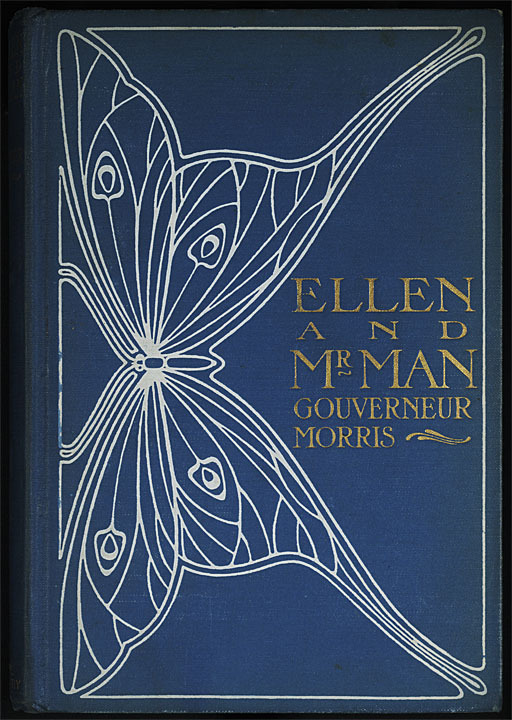 As binding technology advanced, so entered the Arts and Crafts, Art Nouveau and Art Deco movements creating an artistic confluence that produced extraordinarily beautiful book covers in a short space of time. 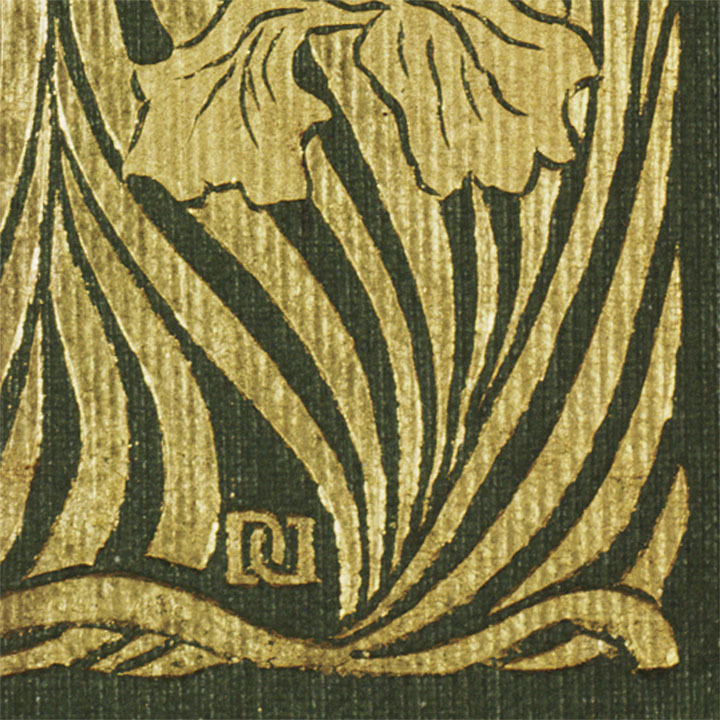 Then came paper dust-jackets which, alongside a change in public taste, caused the decline of these decorative cloth bindings. 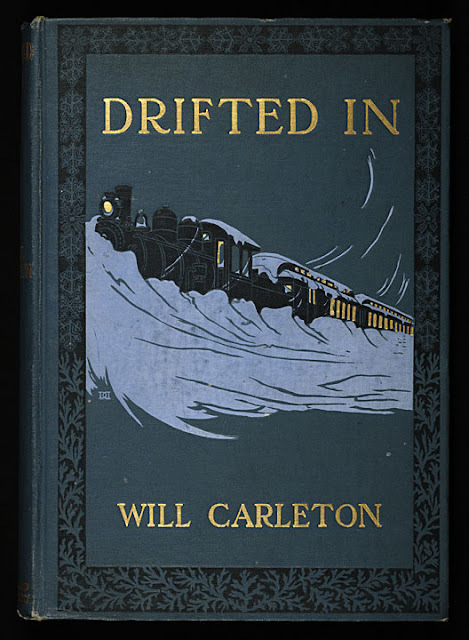 That was the end of that. "Most significant in the last decade of the [Nineteenth] century, particularly in America, is the rise of the artist-designer. 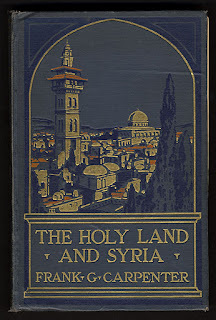 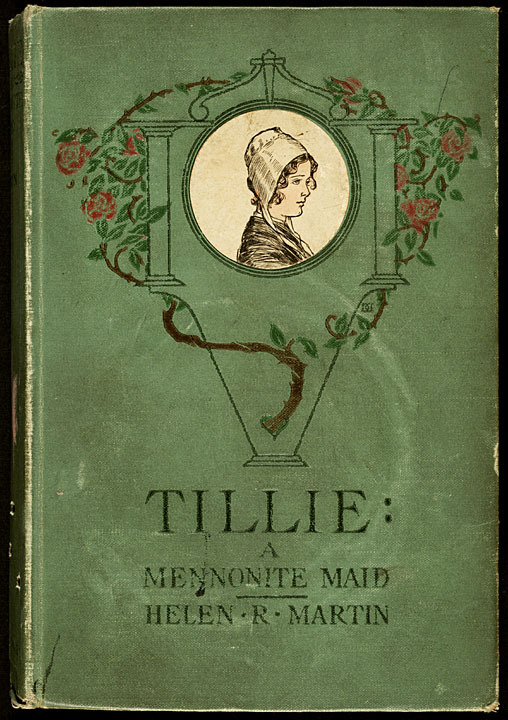 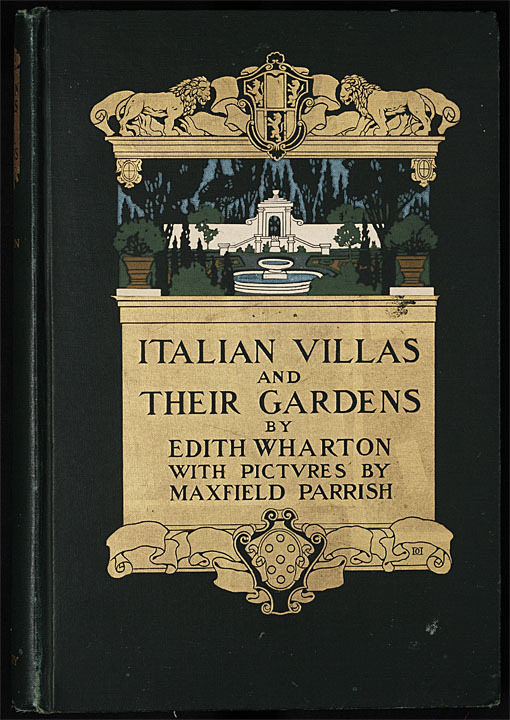 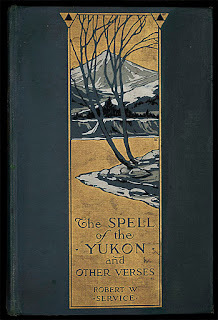 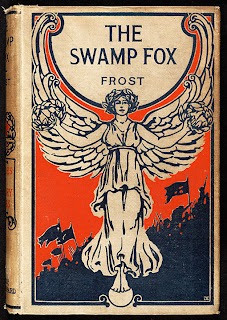 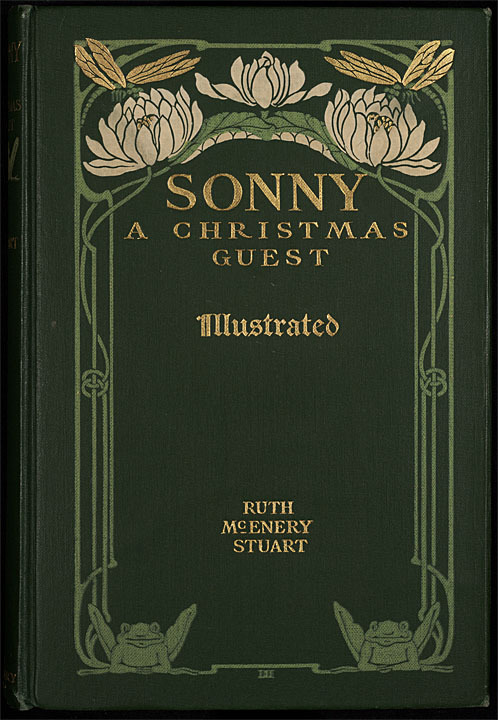 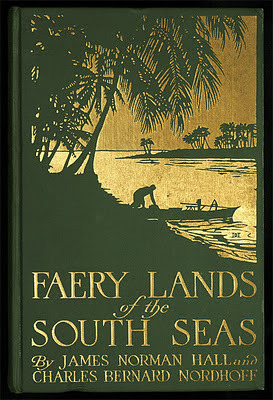 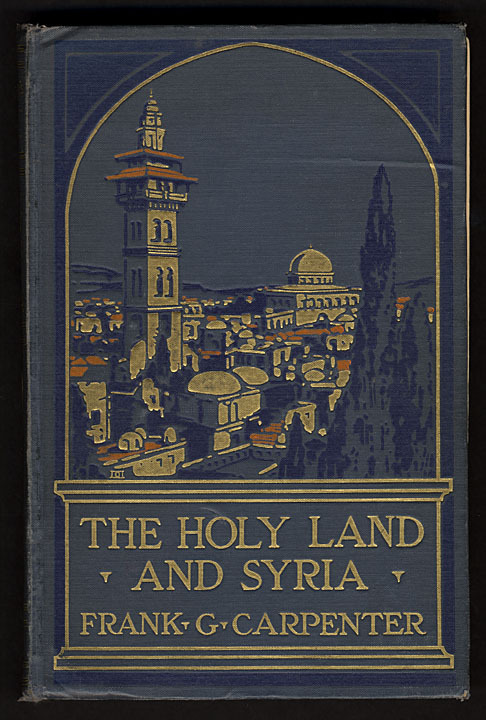 From the late 1880s until about the start of World War I, book covers reached new levels of sophistication through highly professional layouts and stylized pictorial representations. 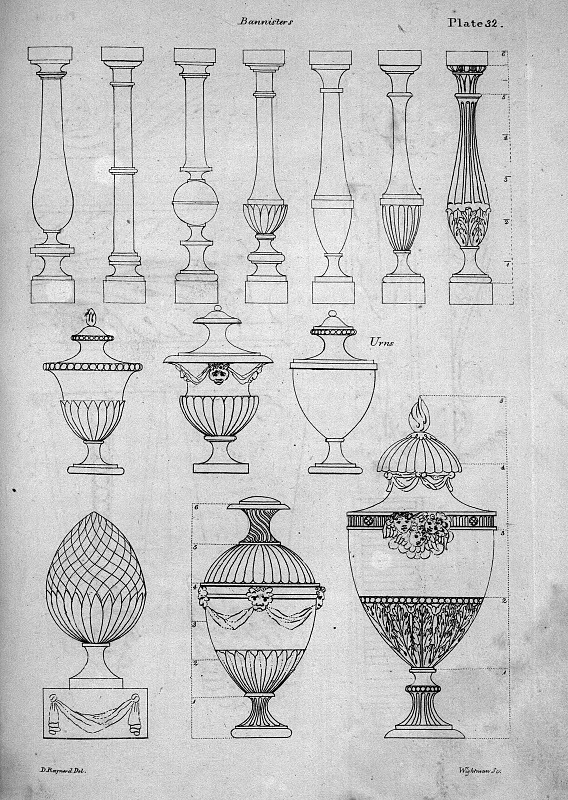 In stepped the Decorative Designers (or DD as the company was called), in 1895. It was founded by the husband and wife team of Henry and Lee Thayer, a talented and incredibly driven team of artist-designers with a real head for business. 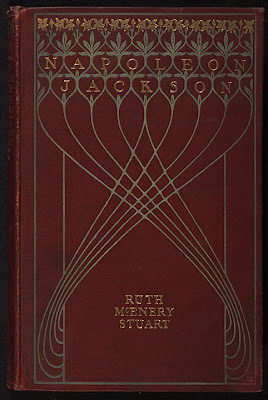 "The founder of the firm was Henry Thayer (1867–1940) who was trained as an architect (following the example of Stanford White, architect-book cover designer). 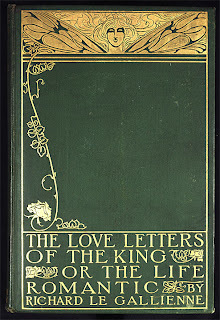 Thayer was responsible for much of the lettering produced by the firm." 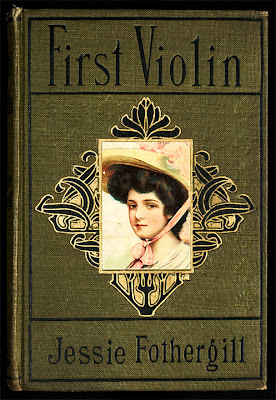 Henry was the business guy, and did a lot of the lettering, but Emma Redington Lee (1874–1973) as she was actually named, was the real star in my opinion. 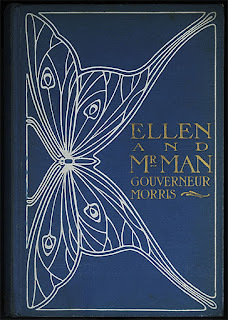 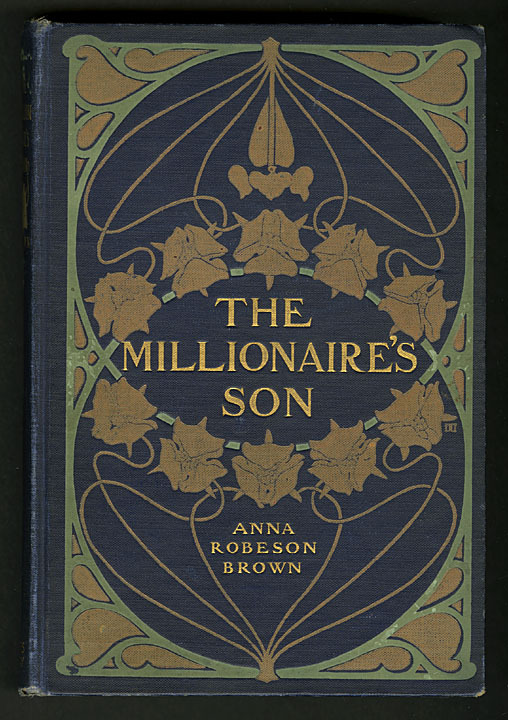 The Decorative Designers monogram appeared on over 25,000 book covers, dust jackets, and text decorations. Still thirsty for more examples? 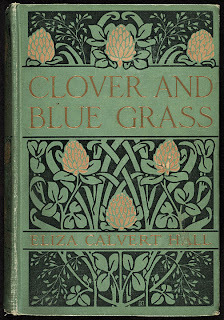 I posted over one hundred here. 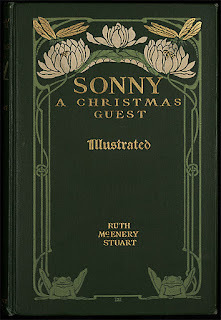 Henry Thayer and Emma Redington Lee Thayer were married in 1909 but later divorced in 1932, on the grounds of desertion. Who deserted whom, I don't know. 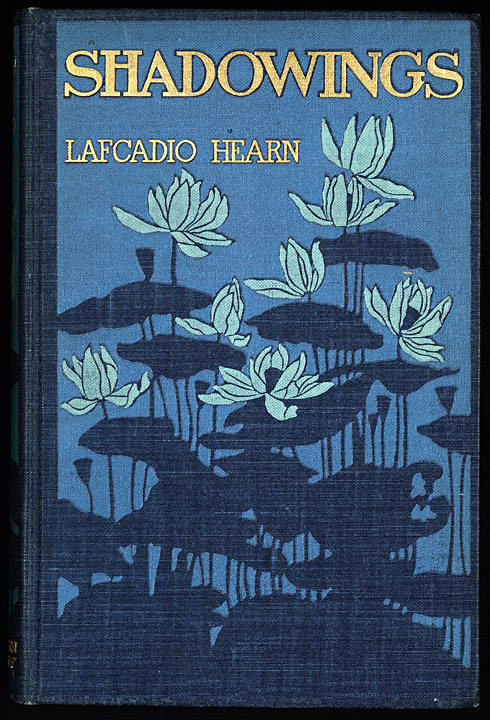 I can guess, but I'd like to think Lee jumped into a 1920 Revere Tourer and sped off with her tennis instructor Rupert, silk scarf flying. 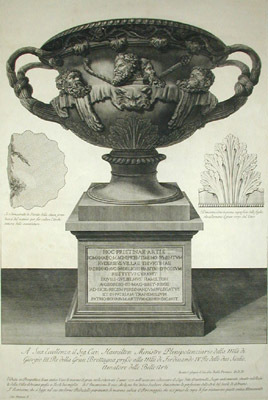 It was a short but illustrious run. "Monsieur, je deteste les urnes! 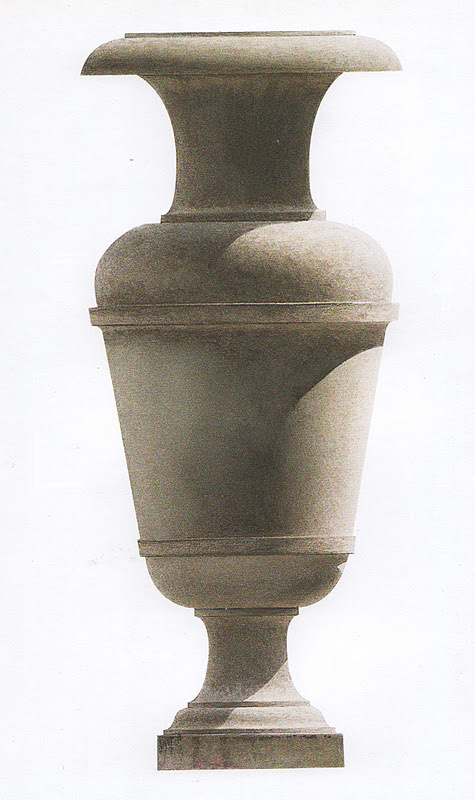 Elles devraient être brisées en morceaux pour pavez nos rues!" 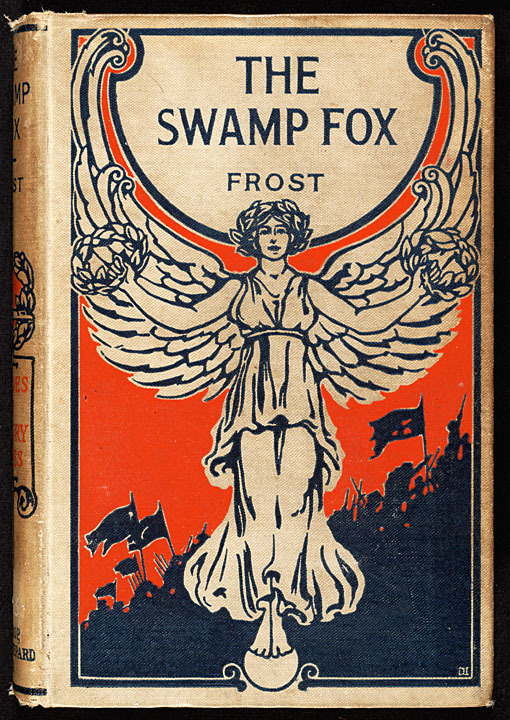 Not exactly sure why I wrote that in French, as Johnson was a blue-blood Brit. 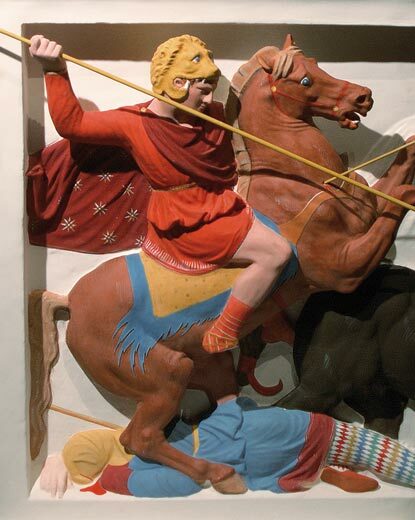 Probably because I knew it would piss him off. 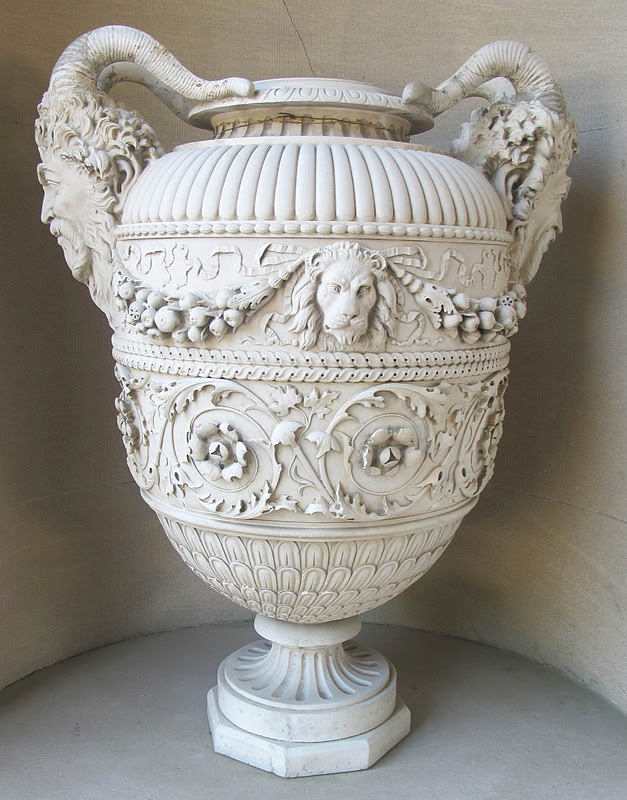 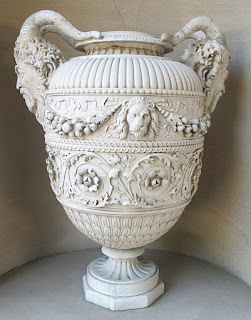 Anyway, Johnson may want them smashed to pave our streets, but I happen to like urns. Especially old drawings and paintings of them. 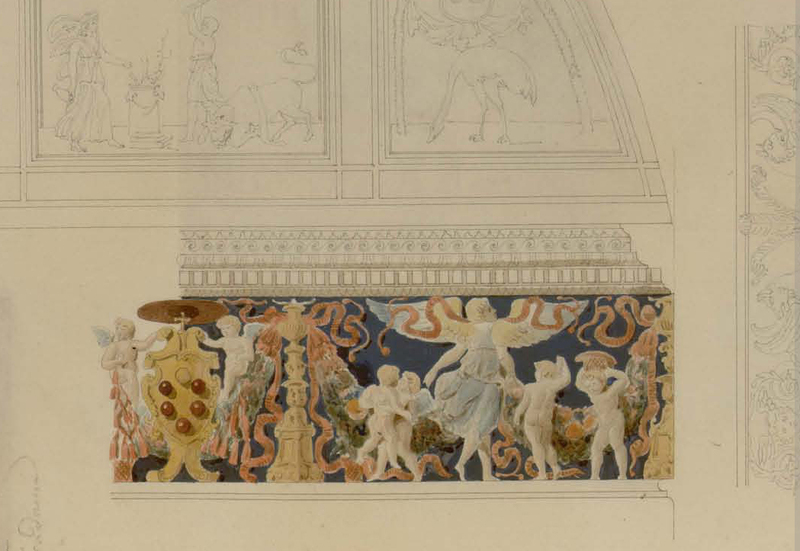 They come in pretty handy for designing murals, too. 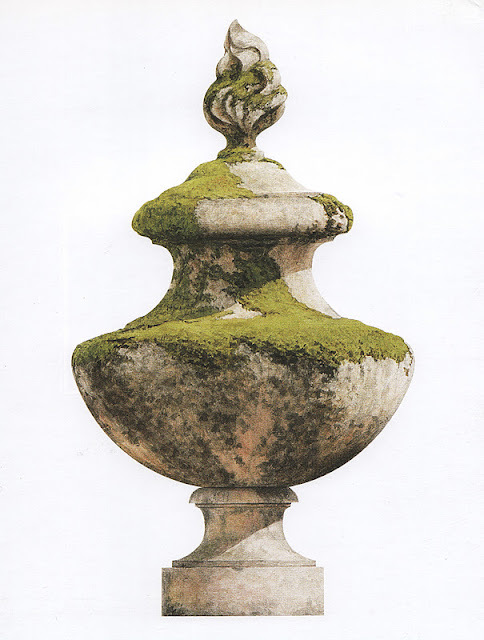 Throw in an ornamental urn or two and you've instantly grounded your landscape and added an extra dimension of historic authenticity. 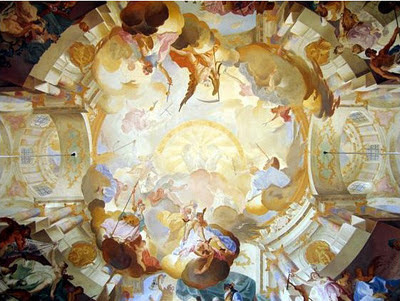 That's why I tossed one into the mural above. I feel that their symmetrical curves and tight decoration offset a loosely painted landscape nicely. 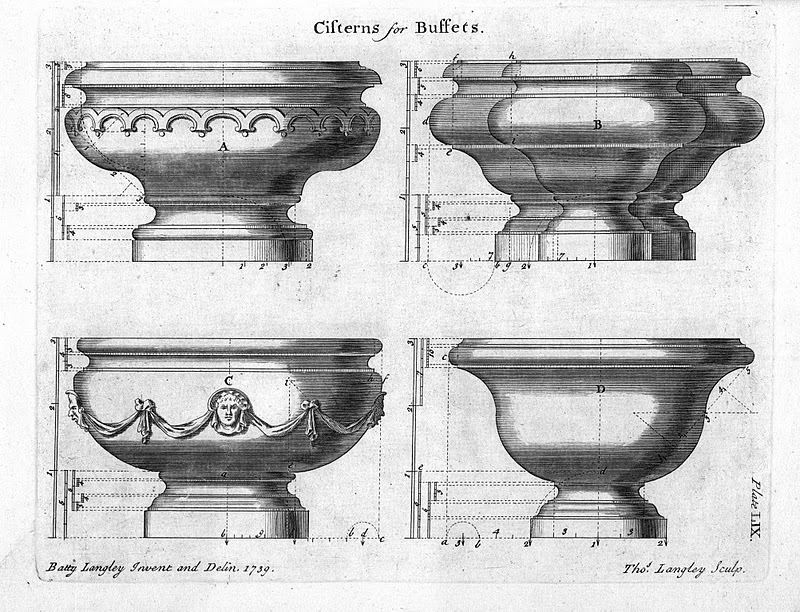 Reference images can be hard to come by, so I'm posting some here for you. 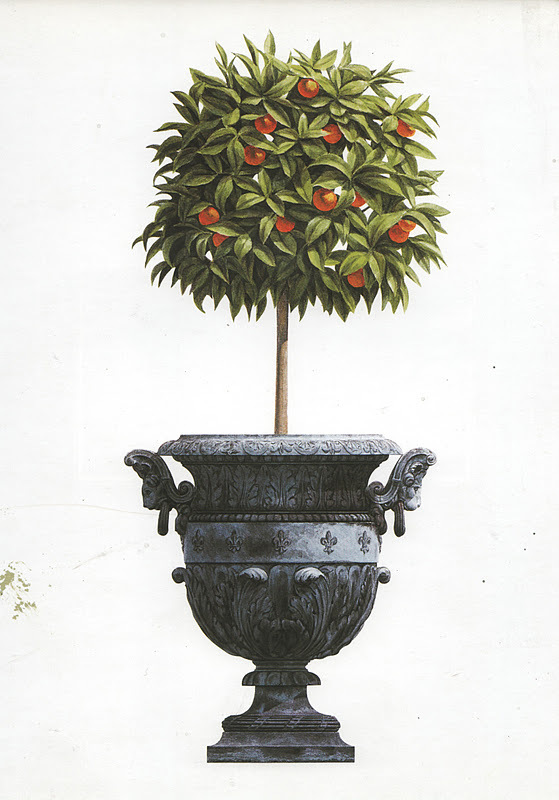 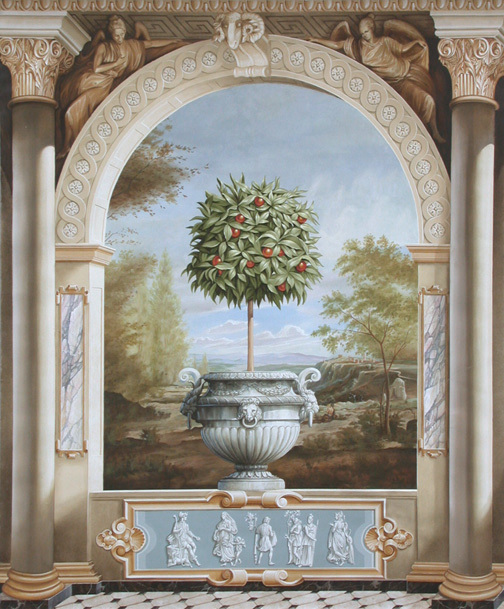 All Illustrations above are from a fantastic book that I highly recommend, called Garden Vases, with incredible paintings by the talented architectural painter, Andrew Zega. 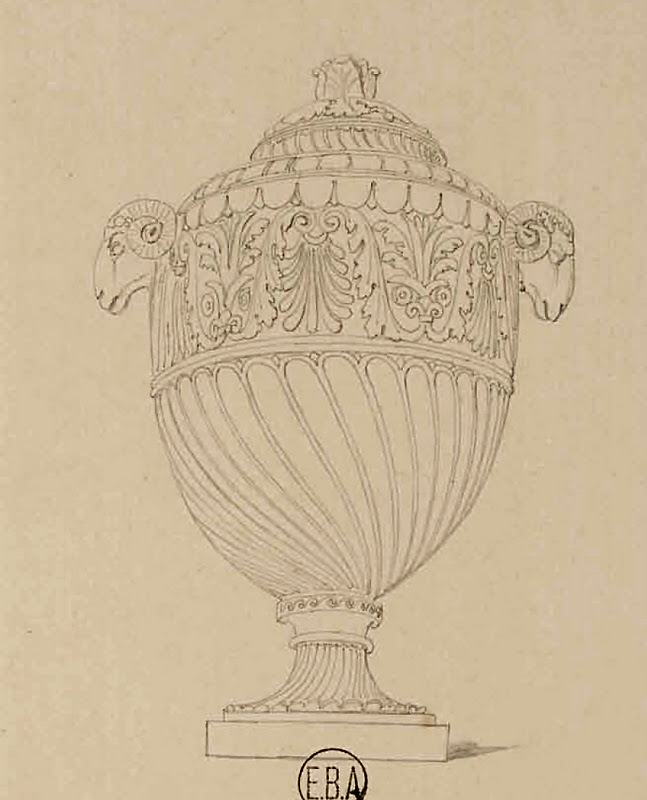 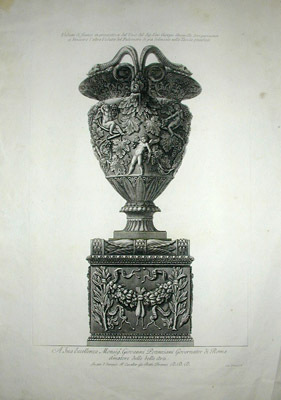 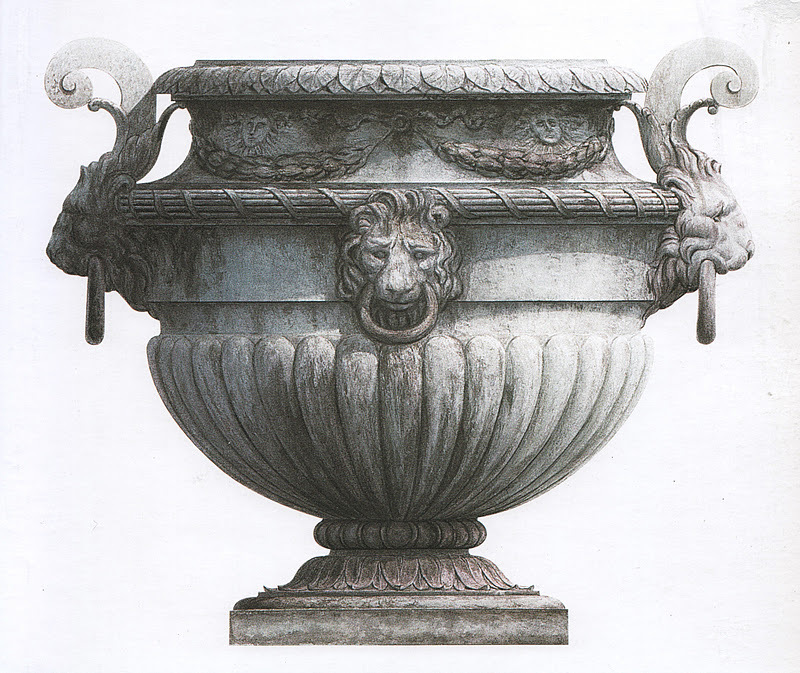 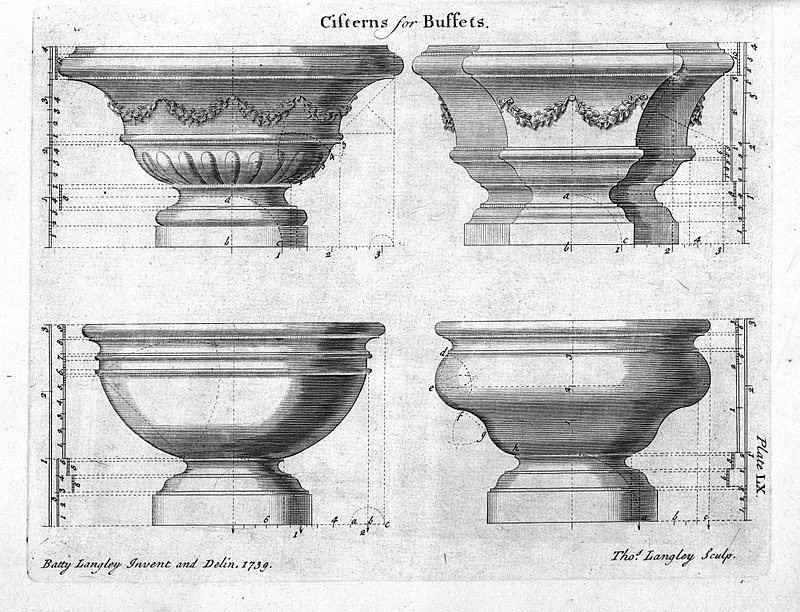 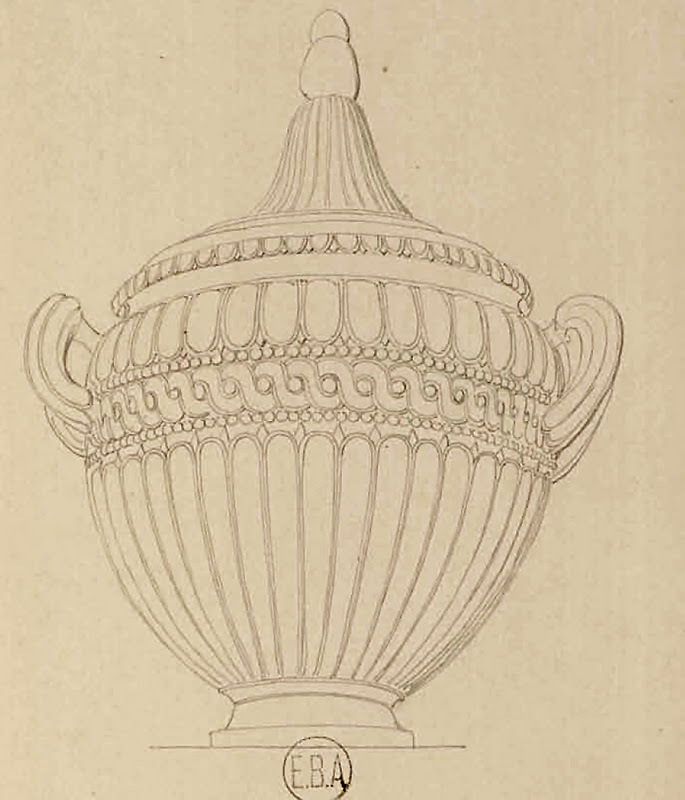 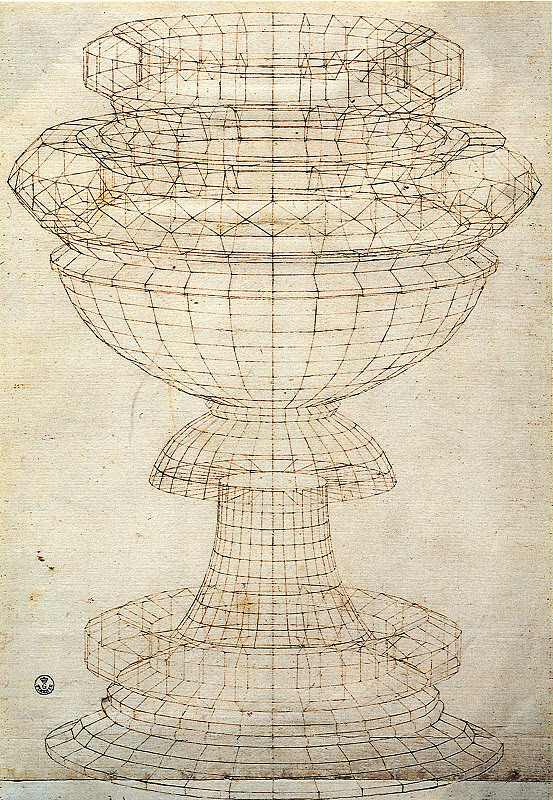 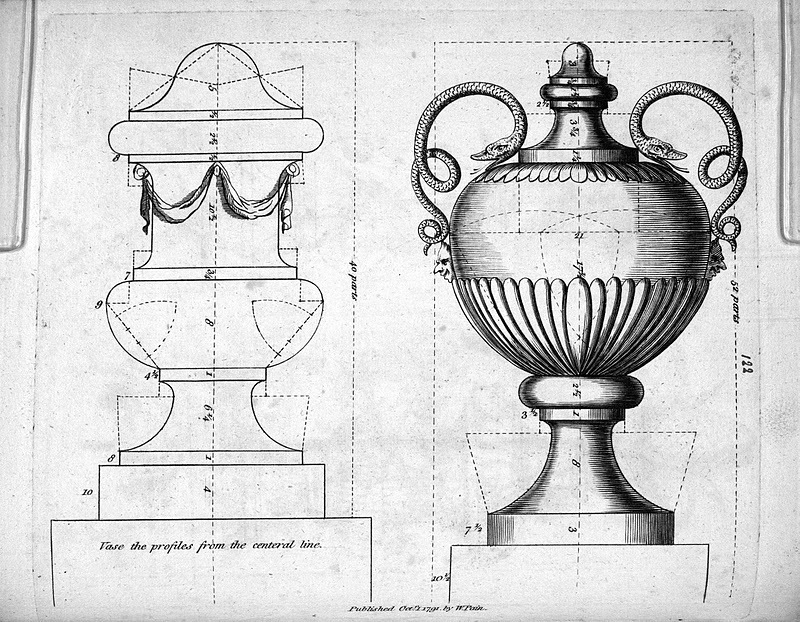 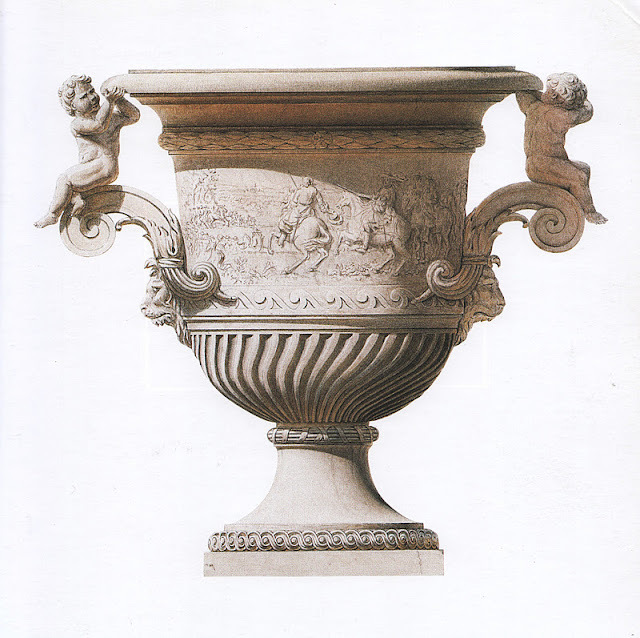 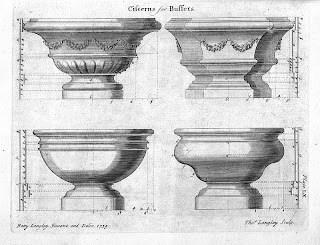 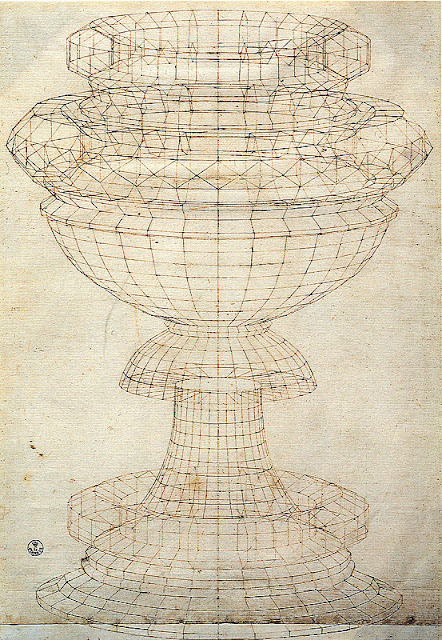 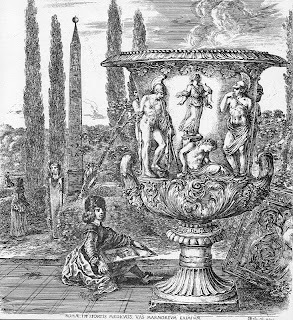 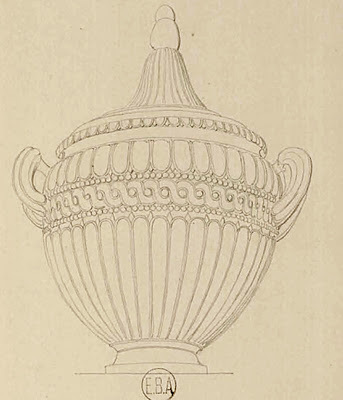 Architectural drawings of urns are scattered throughout literature. 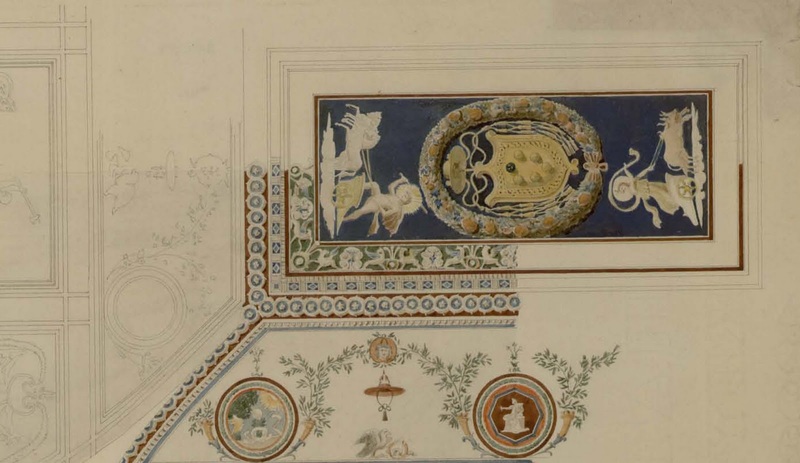 Architects on their Grand Tours of Italy and France would painstakingly measure and draw every urn they came across, along with everything else. 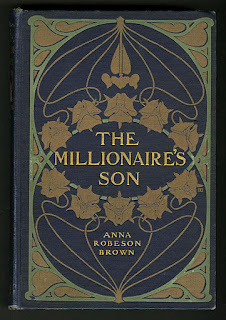 I've collected a few together for you here. 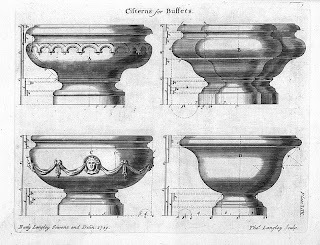 Whether you use them as reference material is up to you, I enjoy them simply as an example of draughtsmanship and the thirst for knowledge displayed by their authors. 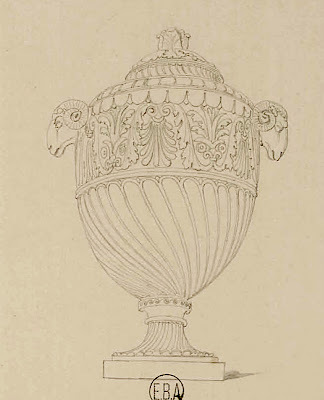 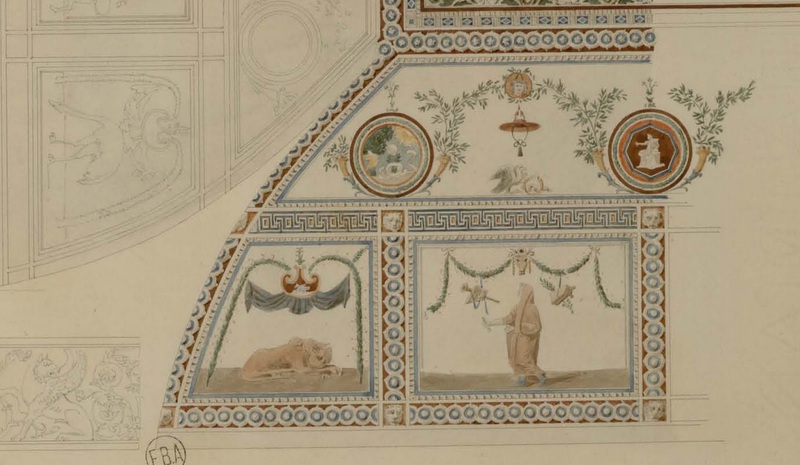 I posted a huge set of Blouet's drawings here. 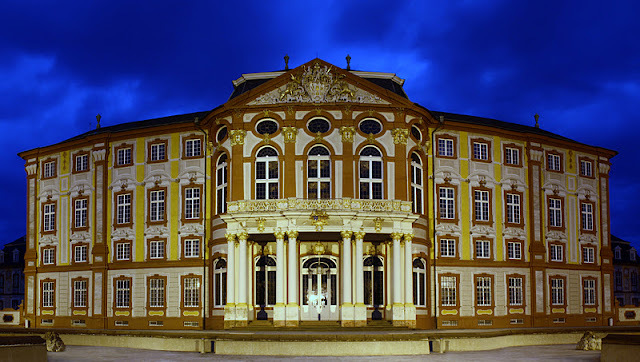 "I have now selected the place for my residence. I have never seen a more beautiful location in all my life." 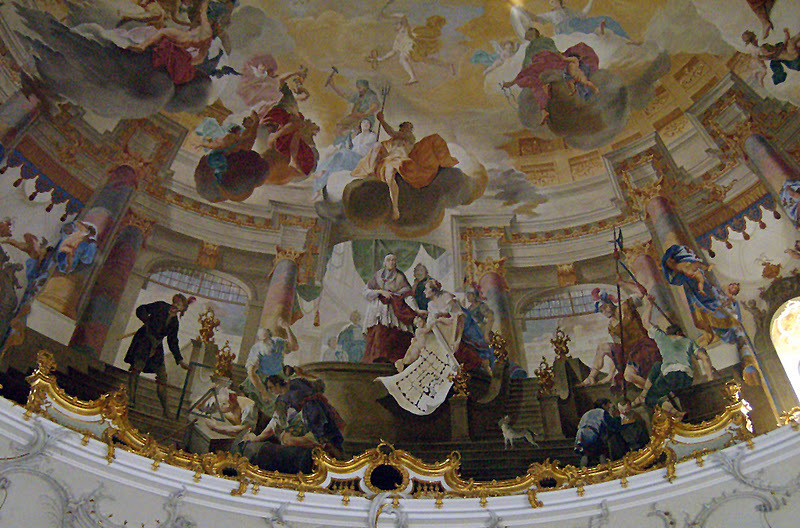 So said Damian Hugo von Schönborn in 1720. 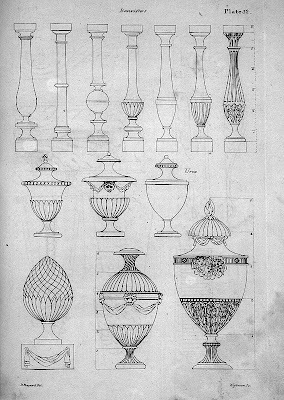 He wasted no time drawing up plans for no less than fifty separate buildings to occupy the grounds that comprise the palace. 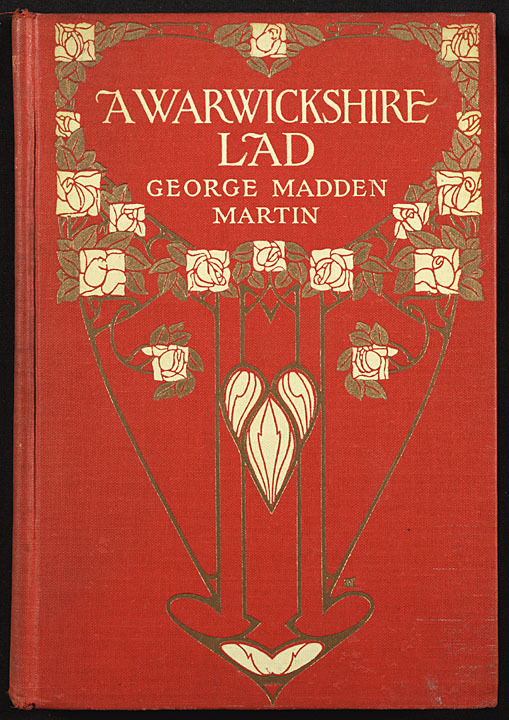 He said the reason he wanted so many buildings was so that, in the event of war, he could run into another building if one got damaged. 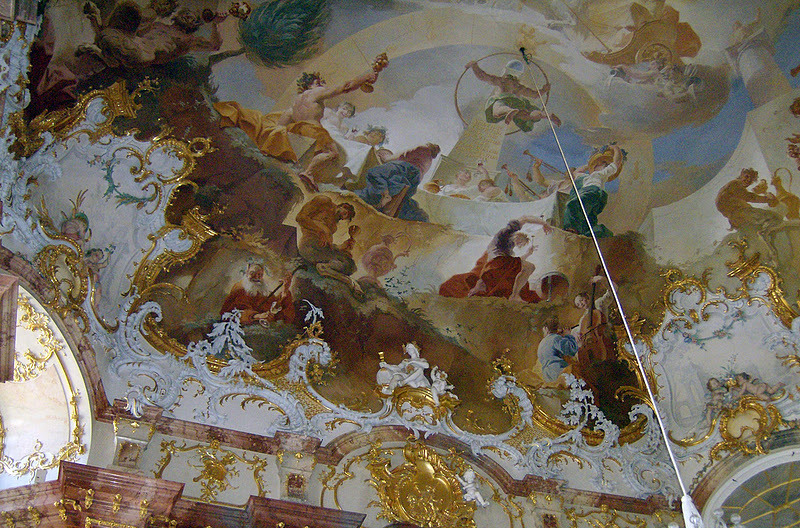 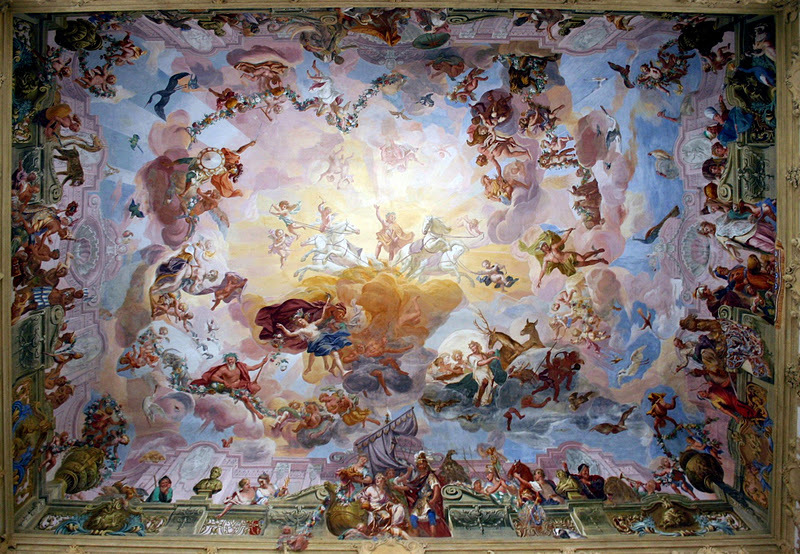 Two painters, Johannes Zick and Giovanni Francesco Marcini were responsible for much of the work. 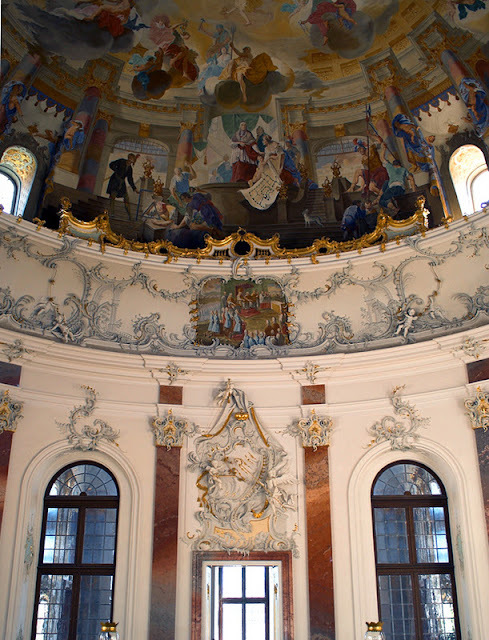 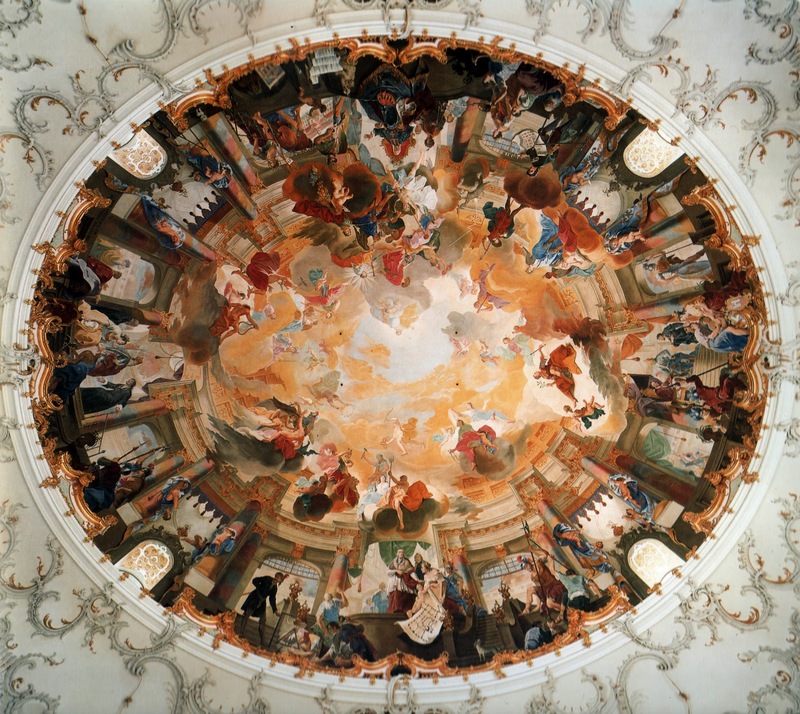 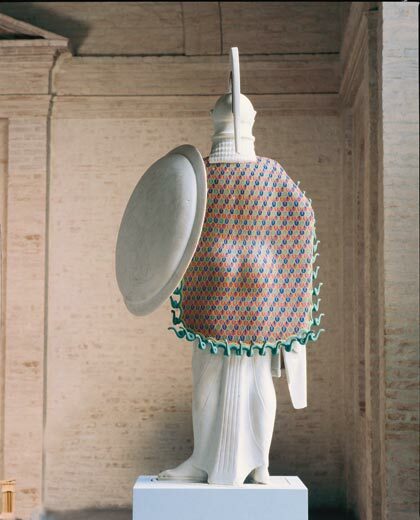 Zick spent nine years working in Bruchsal, Marcini spent five, completing the dizzying illusionistic painting. Hugo's vision seems prescient in hindsight: Bruchsal, like many towns in Germany, was absolutely devastated during the Second World War. The palace was barely standing, and debate raged as to whether it was even worth trying to restore it.